2018 proved to be another fantastic year for real estate sales on Anna Maria Island according to the 2018 MLS Real Estate Agent Market Report. The Florida Multiple Listing Service records the listing and selling activity by the Realtor Association of Manatee and Sarasota county. Looking at all sales in this area 2018 Realtor Darcie Duncan came in as the second-highest local realtor with a total transaction volume of $54,918 000. Currently, there are 342 properties listed on the island which is a bit higher at this time of the year due to the seasonal activity. Anna Maria Island’s property use is a mix of people living or planning to retire in paradise, investment and vacation rentals. New construction is still taking place. However, it seems the housing market is stabilizing and prices are going to level off some in 2019. Even though the island is only 7 miles long there are three cities that are divided in 2 zip codes in regards to their real estate transactions. Anna Maria City with the North end especially desired by vacationers for the quiet ambience shows the highest listing and selling averages. In 2018, three of the top 20 realtors in Manatee and Sarasota County selling property in this 34216 zip code were from Duncan Real Estate and contributed 28 transactions in total. Among them are Darcie Duncan leading Team Duncan with 20 sales at the average purchase price of $1,185 000, followed by Christine Kourik and Michelle Laade. Currently, 80 properties are listed for sale here. They are a combination of residential, income and vacant land. Residential listings make up the highest number with 72 at a purchase price average of $1,640 547. Holmes Beach and Bradenton Beach sales are recorded combined under the zip code 34217. 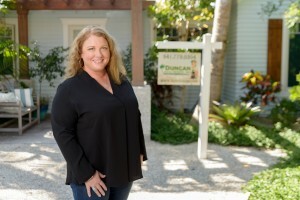 In 2018, Darcie Duncan was in the top position of all realtors with 27 transactions for a total of $27,987 000. Christine Kourik and Michelle Laade came in under the top 12 realtors in this geographic category and added 29 sold listings for the Duncan Real Estate team. At this time there are 260 listings in the 34217 zip code. 212 of them are residential properties and their listing average is $997 047. If you like any more information on current listings or other real estate information please reach out to one of Team Duncan’s professional realtors. You can call us at 941 779 0304 or send us a quick message.